Jackson National Life gifts to Cristo Rey! 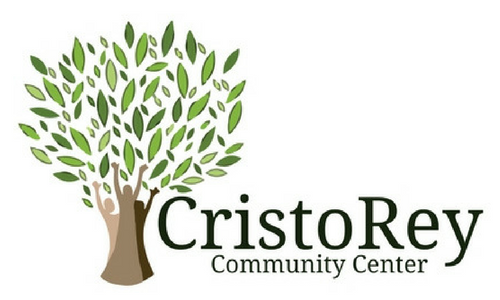 As you may know at Cristo Rey we offer medical and health services to anyone in need as many times as needed. Although, as you can imagine health services are one of the most popular demands in our community as we also see such a big variety of services we must to offer to help our people regarding health care. But we have great news and we are so excited to share it with you! We are so fortunate to announce that Jackson National Life stopped by Cristo Rey this morning with an extremely generous gift that we will start using immediately. 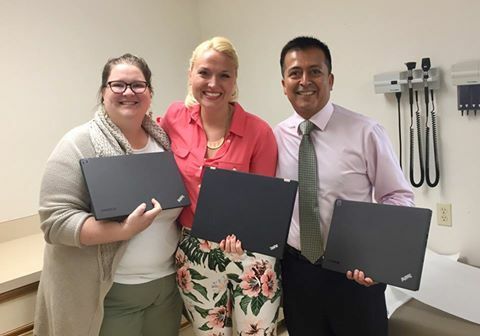 We’ve been gifted THREE Thinkpad laptops for our Family Health Center! Our technology in our Family Health Center needs to be updated every few years as you could imagine to keep our practice efficient for the community and those in need. Danielle Robinson saw we needed some updates with our technology and she immediately reached out to Jackson National’s next donation. And we are feeling so grateful that Jackson National wanted to help! We are so thankful for Jackson National’s giving spirit as it will go a long way over here at Cristo Rey for many years to come. The laptops are already being put to use and will help our practice continue providing quality care to our community with the respect and dignity everyone deserves. Thank you Jackson National! Cristo Rey is ready to get to work!